Peninsula Urban Forestry LLC delivers professional, science and evidence-based wetland services. These include wetland determination, wetland delineation, wetland classification and restoration services in freshwater and marine wetlands, ponds, streams and riparian areas. We offer quality wetland investigations and accessible wetland permitting based on your development objectives and regulations. Wetlands and riparian areas (commonly called ponds, marshes, swamps, and streams) are critical areas that are deeply connected to our day to day lives, even if it always obvious. Chances are that if your work involves land or property management, you’ll need the services of a wetland professional sooner or later. 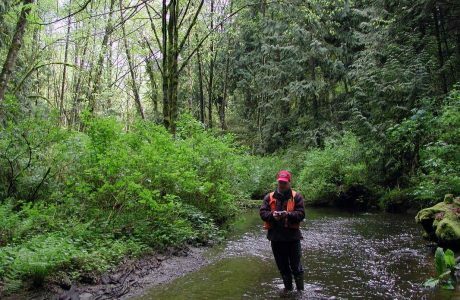 Peninsula Urban Forestry has staff trained in identifying the necessary indicators that assess a wetland’s status, delineate boundaries, and determine ratings in Western Washington. We can then use that information to provide management recommendations, quantify impacts, and design mitigation or restoration plans in accordance with your local jurisdiction. If you need your wetland delineated, or a determination if a wetland is present or not, call our office. We can provide you with a free quote for our services. “those areas that are inundated or saturated by surface or groundwater at frequency and duration sufficient to support, and that under normal circumstances do support, a prevalence of vegetation typically adapted for life in saturated soil conditions”. Created by the U.S. Army Corps of Engineers, this general definition is backed up by a tremendous amount of research and input. It is updated regularly to address feedback from wetland professionals and utilize the best available science. Need assistance with wetland regulations and permitting projects? Specific regulations vary between local, state, and federal jurisdictions, but overall an area that meets wetland criteria requires permitting and review before development or similar impacts can occur. This process usually starts with a wetland determination, or a more in depth wetland delineation, which uses the below criteria to find if a wetland is present and, if it is, where the boundary is. After a boundary is established the next most common assessment required is a wetland rating. Do you need wetlands delineated and classified on your property? The process of rating wetlands utilizes a system developed by the Washington Department of Ecology to place wetlands into four broad categories. The Washington State Wetland Rating System for Western Washington is the most commonly required method for rating wetlands in our region. The rating attempts to quantify how important a wetland is for protection based on the functions and services it provides to the rural and urban landscape. By determining a wetland’s contribution to habitat, stormwater management, and water quality at the local and landscape setting, we can better manage our watersheds. A wetland’s class determines how wide of a protective buffer it receives. The class also determines the amount of mitigation required for an impact to a wetland. How do we perform a Wetland Delineation? In order to determine if wet area meets the qualifications for a wetland, a wetland professional assesses three main components. These three components are the basis for a wetland delineation. The plant community, the soils, and the hydrology of the site. Each of these aspects has many facets but can be summarized as follows. Vegetation – Certain plants have adapted to better handle the stress of frequent saturation or inundation (ponding). The presence and abundance of these hydrophytic (water-loving) plants can help determine where an area shifts from wetland to upland. 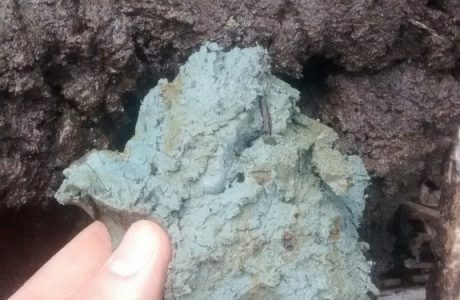 Soils – When soils are inundated for extended periods of time there are various processes that occur and leave behind evidence of the water’s influence. By digging soil pits we can look for these indicators and determine if they match known types of wetland soils (hydric soils). These soil pits can also provide insight to the site history, through features like plow pans, old lake beds, or disturbed soils. Hydrology – As water moves across our landscape it leaves signs of its passing. This can be as apparent as surface water, or as subtle as buttressed tree roots and raised ant hills. By examining the way water interacts with an area we can determine if it is present long enough to qualify for wetland status. To ensure that negative impacts to wetlands are avoided and our watershed health is maintained, mitigation is often required for projects in or near wetlands. Compensatory mitigation is required when an impact would result in a net loss of wetland functions. A mitigation plan is often required by the regulatory agency to show that an impact will be compensated appropriately. These plans detail the area impacted, functions impaired, and how they will be compensated for. Wetland mitigation can be accomplished in a variety of ways, but frequently is through wetland enhancement, restoration, creation, reestablishment, or some combination of those methods. 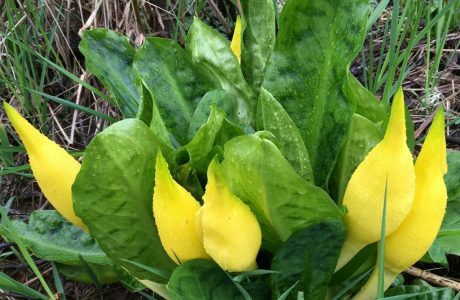 This can mean planting native species in the wetland or buffer, adding habitat features like snags or logs, increasing wetland complexity by adding additional hydroperiods, or any number of possibilities. The important thing is that lost functions are in some way restored. That is why after mitigation occurs, it is essential to establish performance standards and monitor them for around 7 to 10 years. These standards could be for many aspects of a wetland, such as the percent cover of native shrubs, habitat available to wood ducks, or length of inundation during the growing season. If these standards are not met during monitoring, then contingency plans are enacted to make sure mitigation stays on track and functions are restored. Wetlands provide many crucial functions and services to our urban and natural areas. Wetlands improve water quality through slowing of water, settling of sediment, and sequestration of pollutants. They recharge aquifers (wells) through water retention and infiltration, and reduce flood severity by providing storage and desynchronizing peak flows. They also provide critical habitat for many priority species, such that we often write habitat management plans that involve wetlands. 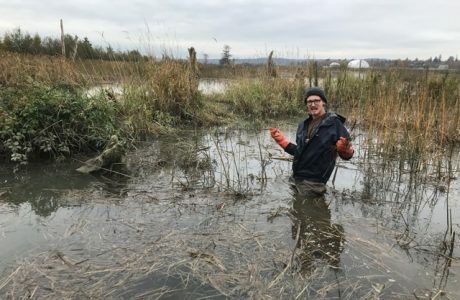 Washington Wetlands are a complex and diverse type of ecosystem that can be found all across the landscape, from coastal lagoons to pristine bogs to stormwater detention ponds. 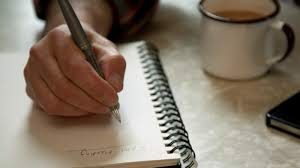 The common characteristics are that they support a unique set of conditions and provide important functions to the environment and society. Historically wetlands have experienced heavy losses, a similar fate to many of our old growth forests and other environmentally sensitive areas. While growing as a nation, wetlands were generally seen as areas to be filled to make way for buildings and agriculture, or sources of pestilence to be drained to reduce insect populations. Wetland losses vary greatly by state, but it is estimated that the United States has lost about 1/3rd of the nation’s wetlands.